Ghader cruise missiles pose a new threat to naval forces and oil exports in the Gulf. Iran is continuing its process of military armament, which is largely based on domestically-manufactured weapons including satellites, fighter planes, helicopters, missiles, radar systems and more. Iranian Navy Commander Habib Allah Siari announced Saturday that Ghader-type cruise missiles would be placed on Iran's destroyers. The Ghader was unveiled in 2011, and can be launched from ships as well as from fixed ground positions. It is more advanced than its predecessor, the Nur, in precision and firepower. 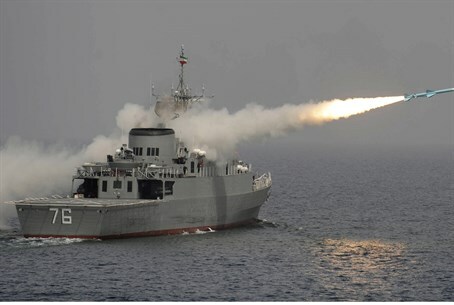 The new missiles increase the Iranian threat to naval movements in the Persian Gulf, and should be seen in the context of past Iranian threats to block the Straits of Hormuz, as well as Iranian territorial ambitions in the Gulf and rehearsals for attacking foreign ships.